A 118 sqm. plot in Pylos town, very close to the beach, the square and the schools. Building ability for two floors, totaly 110sqm. By the road Pylos-Methoni. 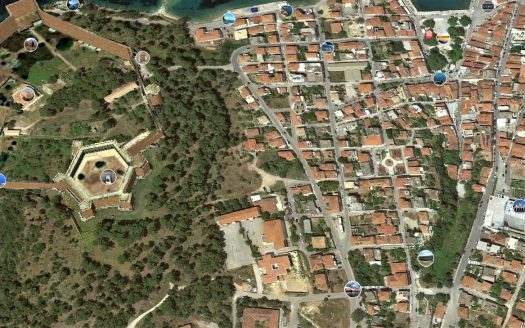 Pylos is the center of the area, provides a health center, shops, services and banks. It’s less than a 10′ drive to a golf course and 45′ to Kalamata’s airport. You can visit a number of historical monuments such as the famous Nestoras palace, the Pylos castle and the archaeological museum, Methoni castle etc. Not miss the Gialova beach with the variety of restaurants, shops and coffee places, or Finikounda beach that is also a recommended destination.